WHAT FUN! FOOD FUN! SPONTANEOUS FUN! Connecting with nature, yourself, your spouse, your family is all about being open to experiencing the unexpected. At Wedgwood, you can always expect the unexpected. Surprises abound and are truly spontaneous! At the whim of your Host, you might be invited for a fireside chat with s’mores, afternoon high tea, movie night under the stars, art and wine classes with a local artist, learn how to make brooms, design your own pottery, write your first novel, enjoy a concert just for you, the unexpected possibilities are endless! Connecting with nature, yourself, your spouse, your family is all about being open to experiencing the unexpected. At Wedgwood, you can always expect the unexpected. Surprises abound and are truly, well, spontaneous! At the whim of your Host, you might be invited for a fireside chat with s’mores, afternoon high tea, movie night under the stars, art and wine classes with a local artist, learn how to make brooms, design your own pottery, write your first novel, enjoy a concert just for you, the unexpected possibilities are endless! 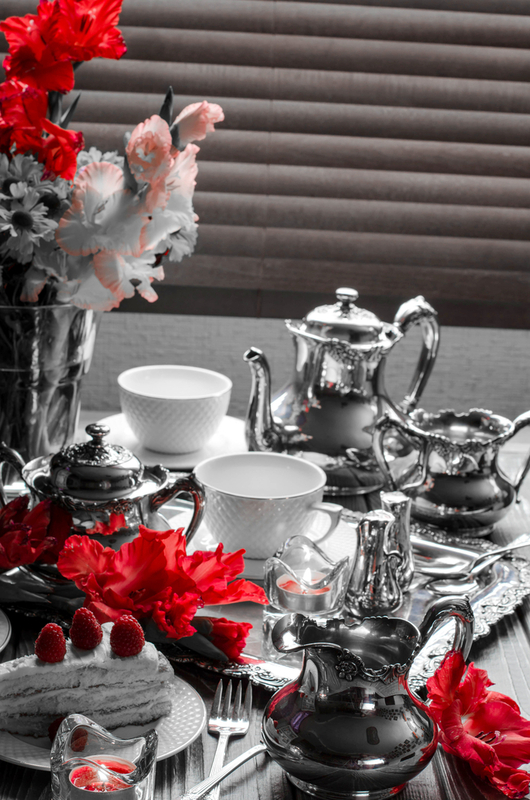 The British tradition of HIGH TEA began in the mid-1700’s as an afternoon meal usually served between 3 and 4 o’clock. Initially it was a meal for the working man, taken standing up or sitting on high stools, thus HIGH. Tea with cakes, scones, even cheese on toast would have been served. Today it is the height of pageantry and elegance. MOVIES UNDER THE STARS FUN! Date night under the stars with your spouse, family, friends or just yourself to enjoy the magic of mother nature and a refreshingly open air evening watching a classic film from days gone by or a newly released blockbuster hit. Comfortable seating on the massive lawn, a large blow up screen and all the popcorn you can eat is on the house. Burgers, hot dogs, fresh catch from Kootenay Lake on the grill. Anyone ready for a BBQ! It’s a great opportunity to connect with other guests and to share a burger and brew! Wedgwood frequently hosts an artist in residence who shares their creative spirit, hands on, with you! Learn watercolor painting with wine in hand, enjoy an inspirational poetry reading, design your own pottery. It’s creative fun! Music created by Bach, Beethovan, Cher, or Lin Manuel Miranda. From classic to pop to Broadway, you never know what local performing artist might show up or what they will perform at a Spontaneous Concert just for you! Wedgwood Retreat is an exclusive retreat where everyday pace seems a world apart.